Pre-order my book for 99 cents! Since starting the Living Health plan, my energy has increased, I have lost some weight, gotten off 2 medications, and set some new goals. Dr. C's classes help me understand what I should be eating and why. I love attending group classes because it helps me feel conected to others changing the way they eat and live. It helps me stay motivated and to maintain a positive attitude. I have never had an MD to visit with before that did not think I was way off when I would tell him/her what I was dealing with. Thank you, Dr. C, for listening and understanding and HELPING. Thank you for all your encouragement and empathy. I was having the worst gut problems! On and off for years! I talked to my dear friend, who told me all about the great things Dr. C had helped her with, and I just knew it was the answer I was looking for! What a gift and blessing Dr. Christensen has been to me. I'm losing weight and I feel so darn GREAT! I have so much more energy, and my gut issues are so much better! My skin/rash issues are getting better. I will never give up my new way of life, I love eating this way! Thank you, Dr. Christensen for your guidance and help! My life is changed forever because of you. My last 10 months with Dr. C have been amazing!! My life has completely changed and all for the better! I have learned so much and I am so grateful for this wonderful practice and for the tools and knowledge I have received from Dr. C. When I started ... I didn't realize just how much I would transform. And I am not just talking about my weight and body, but my whole self. I owe so much to Dr. C. His practice and what he does has completely changed my life. I seriously feel like I can do anything now! Drew, thank you again, for your advice & taking the time to give me so many options for more natural health remedies. And especially for reminding me to not lose hope. 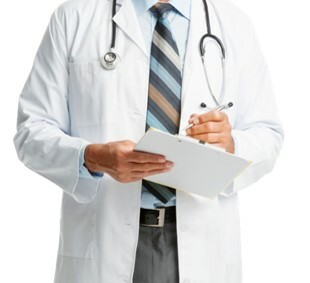 Have you ever had a doctor that calls you directly when there is a health concern you've expressed to him? Have you ever had a doctor who gets teary-eyed when talking about [his] patient's health success, or who said he wants you, as his patient, to achieve your full potential? Have you ever had a doctor who cares so much about your health success that he provides free group sessions on everything from leading-edge science on health, exercise, rest, etc? I have -- only one, ever -- in my almost 70 years on this planet. And that doctor is Dr. Drew Christensen. Did I also say that he is a loving, caring human being? Dr. C is so compassionate, motivating, encouraging, and believes in us! I'm so glad I took the steps to go see him. I've been eating healthier, exercising and feel so much better. Thank you Dr. C! Can't believe I have lost this much weight this past month. My knees feel better, indigestion is gone and I sleep sounder. Thank you Dr C, it will only get better from here!!! Looking forward to my future. Thank you for believing in me. For guiding me to a healthier lifestyle. Helping me to know that [my life] can be less painful. I realize that my health is my choice. You didn't make me feel bad when I make mistakes, but helped me to learn from them. Health is a state that you create. If you are Living Health then you are living abundantly. Living Health is thriving on purpose. Living is strong, giving, grateful, nourishing, and full of light, intelligence and Love. Living is awake, alive, and dynamic. Living is a way of life, a way of thinking, a way of feeling and an attitude. Living is learning and loving. Living is joy and peace. 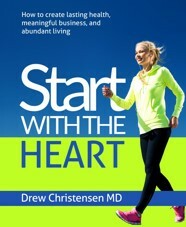 Living Health is living with Heart. Join our journey. As you start with the heart and find meaning/purpose, and design your lasting health, meaningful business, and abundant living, you will create Living Health!